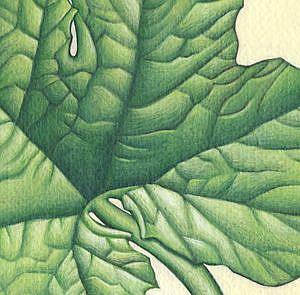 A realistic painting of a pumpkin leaf. 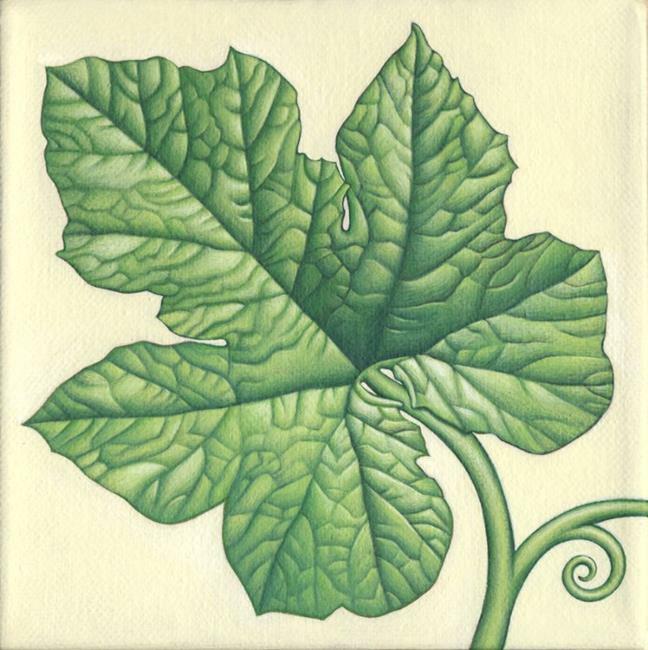 I tried growing pumpkins a couple years ago and, except for a nice crop of large leaves, I totally failed. Fortunately I took some photos of the dinner plate-sized leaves, and used one of them as the model for this painting. The lighting on the photo was "wrong" artistically, so I had to change all of the lights and shadows in my painting. In other words, there was a lot of thinking and figuring out going on during the creative process, which is why it took a while to finish. 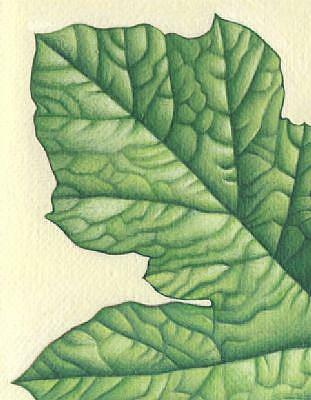 It was fun and challenging to render all those leaf veins.